Don’t let anything stop you from finding a solution. Today my monitor for my computer went out. First it works, then it doesn’t. Since I am not a computer savvy person at all not in the least bit and usually end up making things worst I was very upset. This is my life and everything I need to do is on this stupid machine. Anxious annoyed and getting madder by the minute because I did not have the money right now to buy a new monitor. Not only that but have held off upgrading my system till after I moved. I knew I had to relax and though I was upset the solution was probably right in front of my face, which it was. Is it perfect, no. Is it keeping me working and doing what is necessary for my work, oh yes. I have an old relic of a computer that had pictures on it I had meant to copy and load to my newer computer but never got around to doing so. When I was finished I intended to give the old computer to an organization. It is amazing my tardiness is what saved me with this recent dilemma. The old monitor is what I am using now. Not the fabulous LED 22 inch monitor but an old relic and it is fine. My little fabulous old monitor. What I am reminded is first how our society is connected in ways we mostly never think twice about. All our work and everything needed to interact with each other is in a machine. When we cannot use it – withdrawal. Secondly when hit with a problem relax. The problem isn’t going anywhere but the solution needs to be birthed into your consciousness. It took most of my day to see an answer. Just plug in the monitor and see if it works. Wow, it did. Now the last thing I have to mention is how I view the sites I have changed. I wonder how others see my sites? Is this the way a tablet or laptop sees them? This is how I see the world Trees Forests Nature and Sunshine. We get so locked into the way we view our own world is this the way everyone sees it? Each of us look through eyes but see differently and I for one love that concept. I know I see the world with the eyes of a slightly a skewed artistic world. Never feel I fit in and like that I don’t. 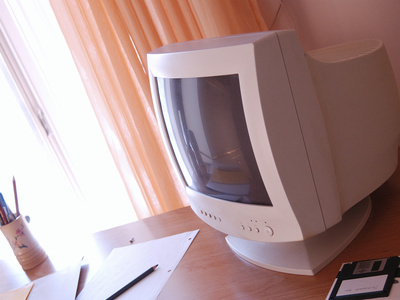 In many ways I feel like the outdated monitor I am looking at right now, old discarded but still has lots of life and usefulness. This little monitor I see now with different eyes. Grateful it is still here to help me see a brighter world. Don’t stop looking for the solution to a problem, the answer will come. Bring forward what is within you. 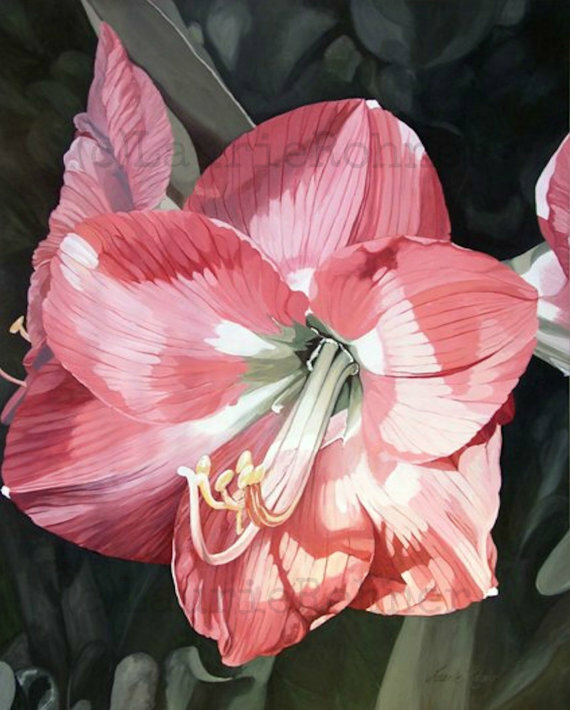 Large botanical watercolor painting of a large Pink Amaryllis garden flower is an original nature art hand painted by Laurie Rohner. This painting is elegant and a dramatic work of art. I paint using a process called glazing. It is layering pigments down on top of each other building depth of pigment and emotion through color. The process is labor and time intensive. This painting took about 56hrs to complete. There are about 10 layers of pigment on this painting. All rights are not transferable with the purchase of this painting and stay with the artist. Why not start improving your life now? Starting the day food shopping is a great way to feel defeated and aggravated. The prices are ridiculously high and I can never seem to find what I want from week to week because the store has moved it or decided to not stock the product anymore. Today was no different from any other time and when I finished putting everything away I read this quote. Sometimes you are not read to see and feel and understand the answer the universe is giving us. Within one single delightful moment I understood with heart beaming light out into my world. The answer is me, the answer is you, the answer is the question. How do I feel now and I choose to feel fabulous. Wanted to share this thought and hope you find the switch to turn on the good feelings so the bad feelings start to dwindle and melt away. 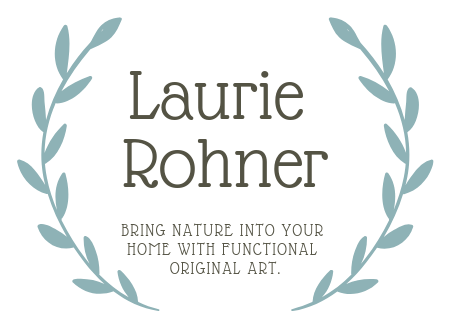 I also want to share with you another little work of nature art I have available at Laurie Rohner Studio‘s Between The Weeds Store. I have art for all in varying price ranges and sizes. Nature Art Botanical Garden Flower Watercolor Original Painting Pink Amaryllis.